In the /r/ethtrader experiment, fear of people coming in and buying donuts to shift governance polls led to the community deciding to make only locked (ie. untradeable) donuts eligible for use in voting. But there’s an even cheaper attack than buying donuts (an attack that can be thought of as a kind of obfuscated bribe): renting them. 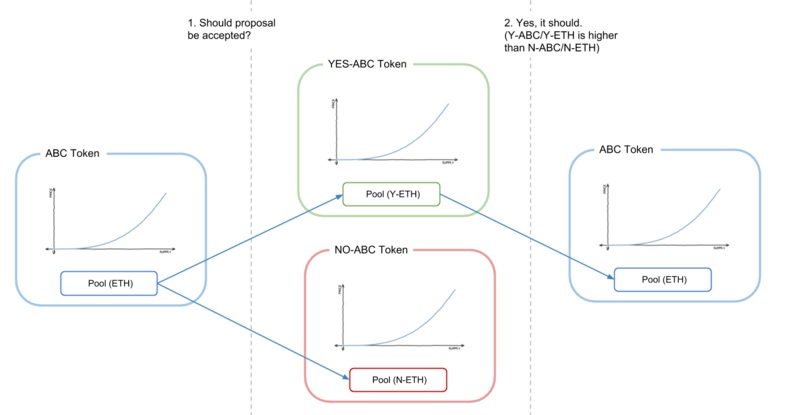 If an attacker is already holding ETH, they can use it as collateral on a platform like Compound to take out a loan of some token, giving you the full right to use that token for whatever purpose including participating in votes, and when they’re done they simply send the tokens back to the loan contract to get their collateral back - all without having to endure even a second of price exposure to the token that they just used to swing a coin vote, even if the coin vote mechanism includes a time lockup (as eg. Bihu does). In every case, issues around bribing, and accidentally over-empowering well-connected and wealthy participants, prove surprisingly difficult to avoid. In the version of game theory that focuses on individual choice - that is, the version that assumes that each participant makes decisions independently and that does not allow for the possibility of groups of agents working as one for their mutual benefit, there are mathematical proofs that at least one stable Nash equilibrium must exist in any game, and mechanism designers have a very wide latitude to “engineer” games to achieve specific outcomes. But in the version of game theory that allows for the possibility of coalitions working together, called cooperative game theory, there are large classes of games that do not have any stable outcome that a coalition cannot profitably deviate from. In the case of governance and content curation (both of which are really just special cases of the general problem of identifying public goods and public bads) a major class of mechanism that works well is futarchy - typically portrayed as “governance by prediction market”, though I would also argue that the use of security deposits is fundamentally in the same class of technique. The way futarchy mechanisms, in their most general form, work is that they make “voting” not just an expression of opinion, but also a prediction, with a reward for making predictions that are true and a penalty for making predictions that are false. For example, my proposal for “prediction markets for content curation DAOs” suggests a semi-centralized design where anyone can upvote or downvote submitted content, with content that is upvoted more being more visible, where there is also a “moderation panel” that makes final decisions. For each post, there is a small probability (proportional to the total volume of upvotes+downvotes on that post) that the moderation panel will be called on to make a final decision on the post. If the moderation panel approves a post, everyone who upvoted it is rewarded and everyone who downvoted it is penalized, and if the moderation panel disapproves a post the reverse happens; this mechanism encourages participants to make upvotes and downvotes that try to “predict” the moderation panel’s judgements. But it’s not just identity issues that public goods games are vulnerable too; it’s also bribes. To see why, consider again the example above, but where instead of the “fake community” being 10001 sockpuppets of the attacker, the attacker only has one identity, the account receiving funding, and the other 10000 accounts are real users - but users that receive a bribe of $0.01 each to take the action that would cause the attacker to gain an additional $1. As mentioned above, these bribes can be highly obfuscated, even through third-party custodial services that vote on a user’s behalf in exchange for convenience, and in the case of “coin vote” designs an obfuscated bribe is even easier: one can do it by renting coins on the market and using them to participate in votes. Hence, while some kinds of games, particularly prediction market or security deposit based games, can be made collusion-safe and identity-free, generalized public goods funding seems to be a class of problem where collusion-safe and identity-free approaches unfortunately just cannot be made to work. The basic idea is that your private key is secret-shared between up to five trusted contacts, in such a way that mathematically ensures that three of them can recover the original key, but two or fewer can’t. This qualifies as an “identity system” - it’s your five friends determining whether or not someone trying to recover your account actually is you. However, it’s a special-purpose identity system trying to solve a problem - personal account security - that is different from (and easier than!) the problem of attempting to identify unique humans. That said, the general model of individuals making claims about each other can quite possibly be bootstrapped into some kind of more robust identity model. These systems could be augmented if desired using the “futarchy” mechanic described above: if someone makes a claim that someone is a unique human, and someone else disagrees, and both sides are willing to put down a bond to litigate the issue, the system can call together a judgement panel to determine who is right. But we also want another crucially important property: we want an identity that you cannot credibly rent or sell. Obviously, we can’t prevent people from making a deal “you send me $50, I’ll send you my key”, but what we can try to do is prevent such deals from being credible - make it so that the seller can easily cheat the buyer and give the buyer a key that doesn’t actually work. One way to do this is to make a mechanism by which the owner of a key can send a transaction that revokes the key and replaces it with another key of the owner’s choice, all in a way that cannot be proven. Perhaps the simplest way to get around this is to either use a trusted party that runs the computation and only publishes results (along with zero knowledge proofs proving the results, so the trusted party is trusted only for privacy, not integrity), or decentralize the same functionality through multi-party computation. Such approaches will not solve collusion completely; a group of friends could still come together and sit on the same couch and coordinate votes, but they will at least reduce it to a manageable extent that will not lead to these systems outright failing.